Even though my skin has gotten drier over the years, I still have a problem with keeping makeup on my face all day. It's usually foundation that winds up magically disappearing from my face, but blush is the #2 culprit. When I really want to ensure that my cheeks look perfectly flushed all day, I'll layer a powder blush over a cream blush -- that combo seems to give few extra hours of wear that either product alone. I've wanted to try the Revlon Photo Ready Cream Blushes for a while, but they're somewhat pricey (normally $12.99 at Ulta) so I waited until Revlon was on sale and I had a coupon for 20% off at Ulta. I have quite a few drugstore cream blushes that I really like, but I could always use one more. As far as I know, the Photo Ready Cream Blushes come in three shades: Flushed, a bright pink; Coral Reef, a bright coral red; and Pinched, a mid-tone peach. If you've been reading this blog for a while, you can probably guess that I chose Pinched. 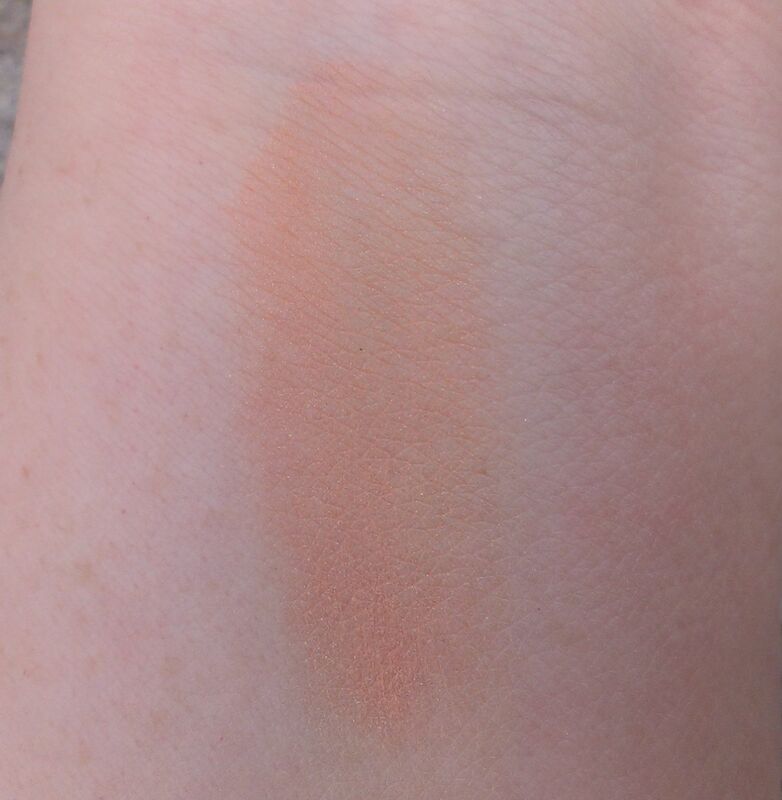 In the pan, it certainly is a lovely color -- a nice warm peachy shade that isn't too bright or orange. There's also some gold micro-shimmer in the blush that's not apparent in the pan but comes across subtly when applied to the cheeks. The formula is pretty good too. 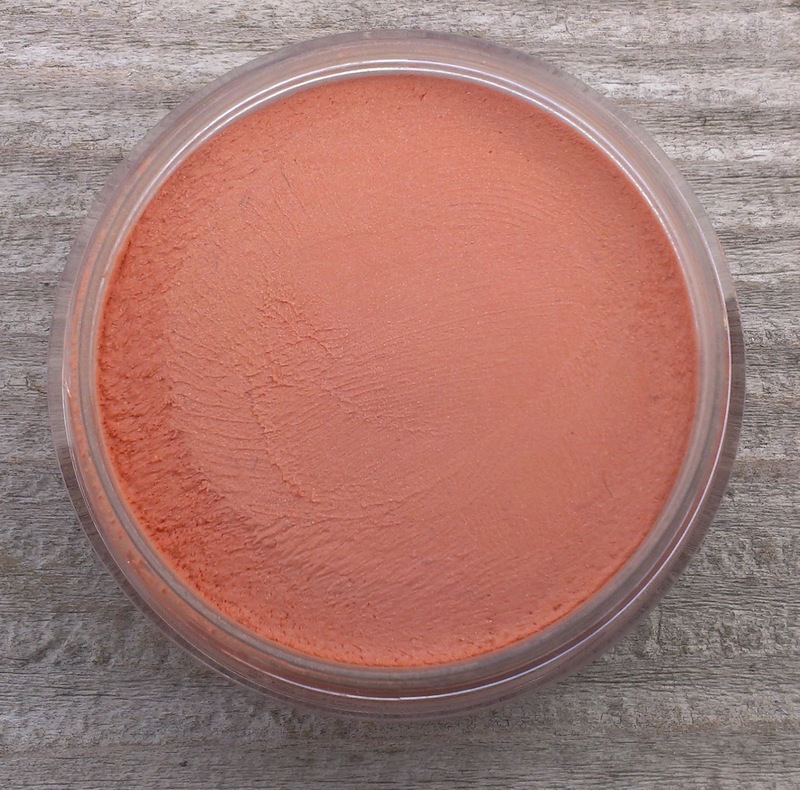 It's incredibly creamy, so it's very easy to apply and blend. 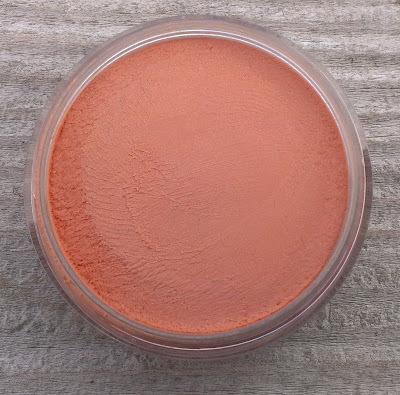 However, it has a slightly dry consistency, which I like because it helps the blush set on the skin and last longer than more emollient cream blushes. I do have a problem with the blush, though. In a concentrated swatch, it shows up pretty well (as you can see above) but once you blend it across the cheeks, there isn't much color left behind. Even on my fair skin, the blush is extremely subtle -- it shows up, but barely. If you have medium or darker skin, I think you wouldn't see it at all. It isn't a big problem for me since I almost always layer a powdered blush over the Revlon Photo Ready Cream Blush. However, if I wanted to wear it alone, I'd really have to pack it on if I was going for more than a natural look. Since I have drugstore cream blushes with much better pigmentation and a good formula (FYI, my favorite are the NYX Cream Blushes), I don't think I'd really be tempted to buy any more of the Photo Ready Blushes. The other shades don't particularly appeal to me either, so I think Pinched will remain the only one in my collection. All in all, I wouldn't recommend Pinched unless you have fair skin. I've looked at swatches of Flushed and Coral, and they seem much more pigmented so I'd go with one of those if you have medium or darker skin. 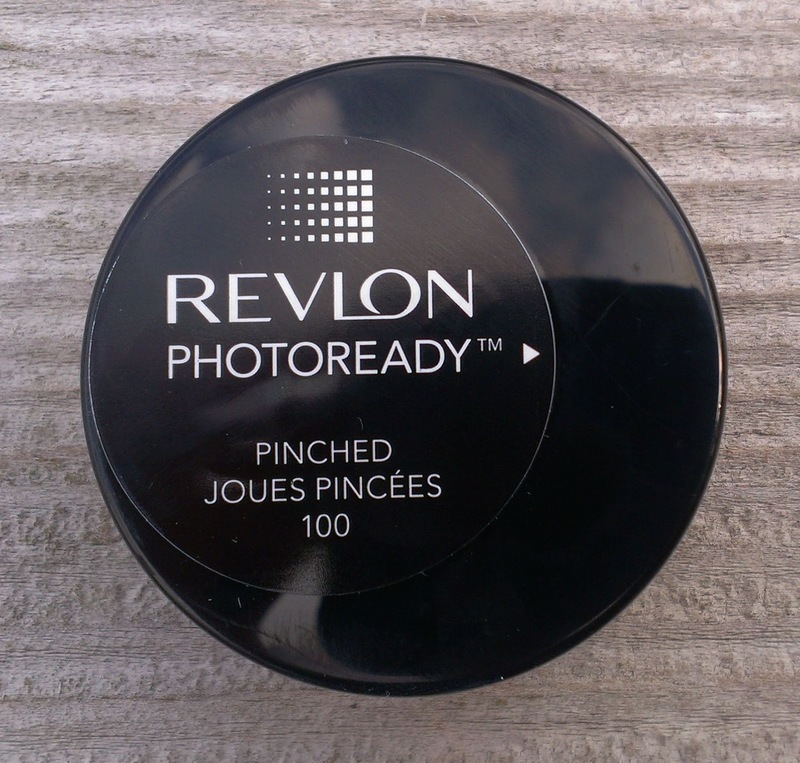 Have you tried the Revlon Photo Ready Blushes? Are you a fan? Thanks for doing this review! I've been looking at the revlon cream blushes, but haven't picked one up yet. Thanks for the review! I've seen these around but haven't really given them a second thought. I really like this shade, but not sure if it's look good on me. I am a pink blush lippy kinda girl.